Use The Best Life Diet Daily Journal with the The Best Life Diet. As the Best Life Diet book came to life on the diet scene, its companion book arrived as well, known unpretentiously as the Best Life Diet Daily Journal. Can this be the answer to past dieting hurdles? Does it contain the essentials to perpetuate the weight loss you desire? Find out here at LoveToKnow Diet. Also, you are invited to share your review and experience with the Best Life Diet Daily Journal with our readers. Where Did the Best Life Diet Daily Journal Come From? 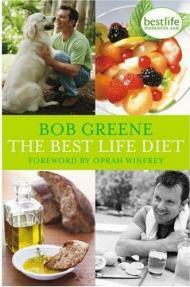 The Best Life Diet Daily Journal is the creation of Bob Greene, personal trainer and fitness entrepreneur known to many as Oprah's supercoach. The book, The Best Life Diet, made headlines when it was promoted by Ms. Winfrey herself on her nationally syndicated television program. Similar to other weight loss journals, the Best Life Diet Daily Journal is a tool to help achieve success with weight loss and an overall healthy eating style for life. With its page by page cross referencing, it is meant, and encouraged, to be used in accordance with the diet book. There is plenty of space to record any and all major milestones, events, thoughts, or the like. The idea is to put in words all your experiences with your relationship to food. There are also sections that provide a weekly summation of progress. Motivational tips, quotes, and thought-provoking statements grace the pages throughout the Best Life Diet Daily Journal. Keeping a food diary of any type has been a proven strategy for weight loss success and weight maintenance. This journal is no different. The purpose of this particular journal set-up is to guide your next steps by reflecting on what is happening now. It is a way to open the doors of opportunities for needed changes in the following day, week, or month. And, since the Best Life Diet itself is a long-term healthy eating and fitness program, the journal fits perfectly in the quest for long-term lifestyle changes. There are several sources available for purchasing the Best Life Diet Daily Journal, including Barnes and Noble and Amazon.com. A personalized, self-written account of an individual's eating habits can be a valuable key to unlocking what fad diets, quick weight loss diets, low calorie diet foods, and diet pills lack. There is no harm in picking up a pen and starting your very own food diary. 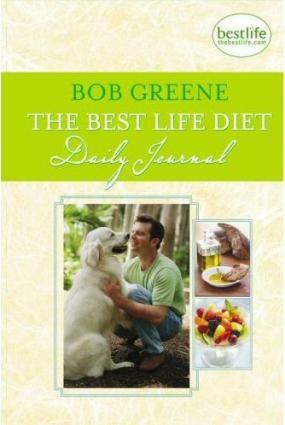 The Best Life Diet Daily Journal may be a great place to start. If nothing at all, sometimes in can be an eye-opening experience to simply see the food choices and quantities. For example, it may be an easy switch, yet extremely worthwhile, to choose an apple over the potato chips as a regular evening snack.